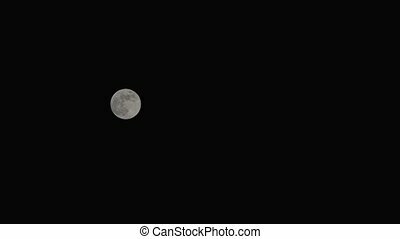 Full moon over dark sky with. 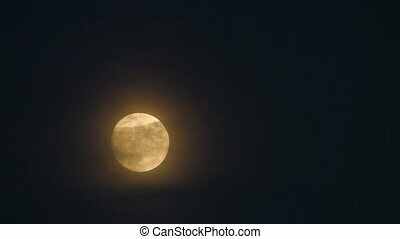 Full moon in the dark sky. 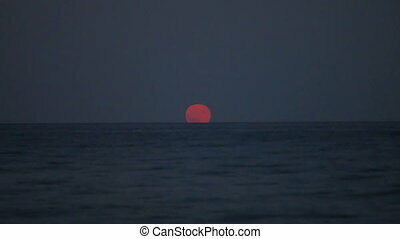 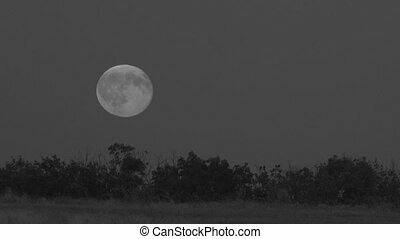 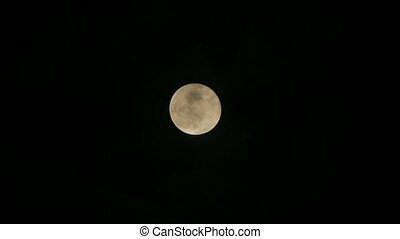 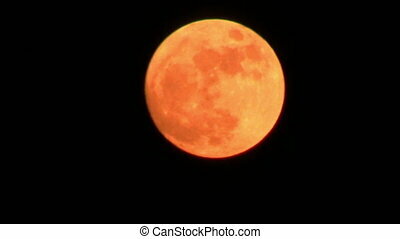 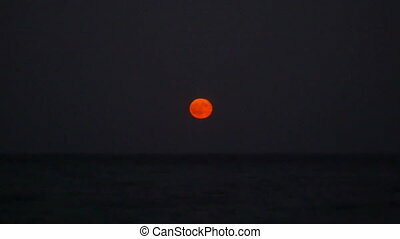 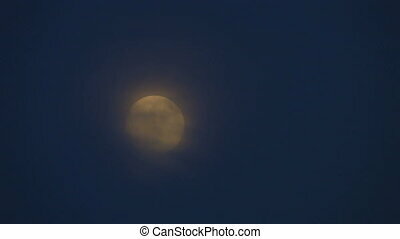 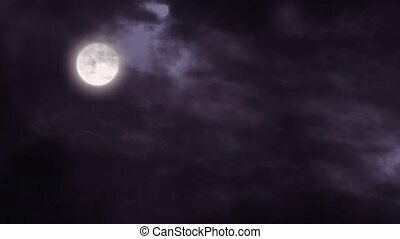 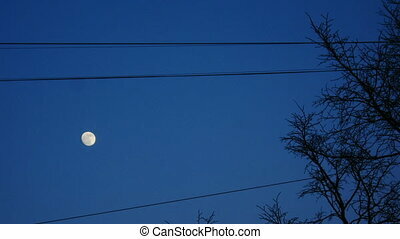 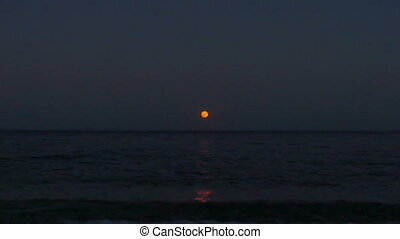 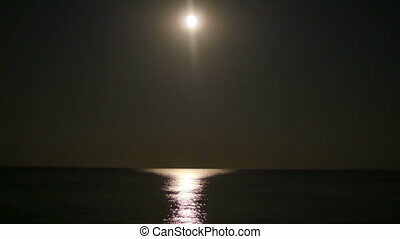 This is a shot of full moon slowly moving over dark black sky at night with clouds flying by fast. 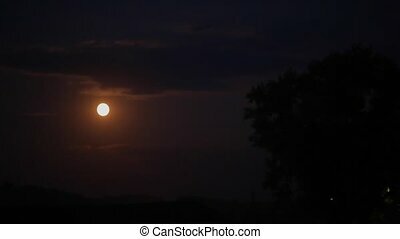 May be used as background. 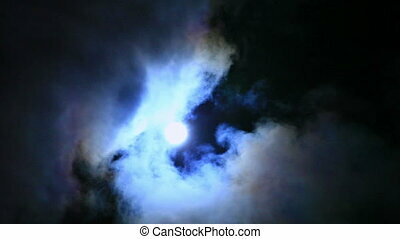 Full moon and clouds dark night sky.